Short Stories from the Holy Quran: Prophet Moses and Khidr ~ Islam My Ultimate Decision . A lot many stories appear in the Holy Qur'an which teach us many lessons for living our lives as per the dictates of Allah to be blessed. 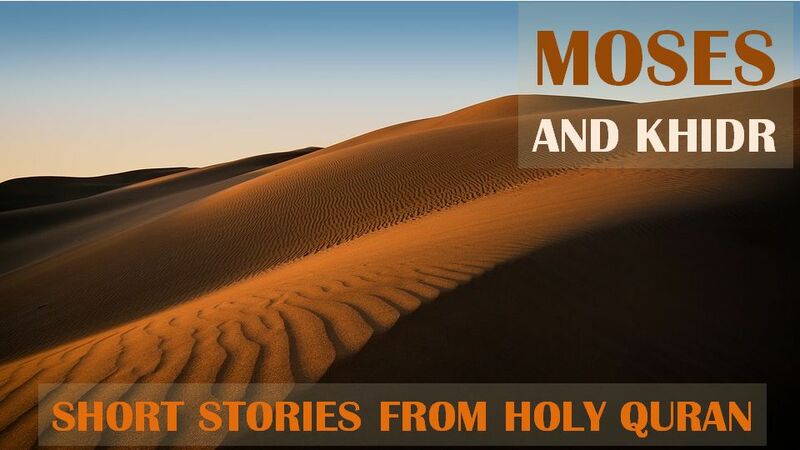 In the on going series of Short Stories from the Holy Qur'an, today we are sharing the story about the interaction of Prophets Muse (Moses) and Khidr (may Allah's blessings be on both). While many of us know Prophet Musa very well, some may not have listened about Khidr, a mention of whom is made not only in the Holy Qur'an but in other scriptures and history books as well. The majority of Islamic scholars are of the opinion that Khidr was a Prophet. 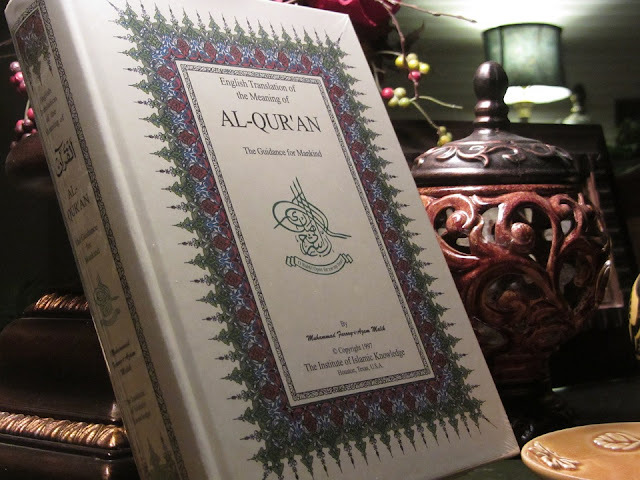 The Quran refers to him as one of Allah’s servants who was granted knowledge, comprehension and mercy. (v. 60) And when Moses said unto his servant, “I shall continue on till I reach the junction of the two seas, even if I journey for a long time. (v. 61) Then when they reached the junction of the two, they forgot their fish, and it made its way to the sea, burrowing away. (v. 62) Then when they had passed beyond, he said to his servant, “Bring us our meal. We have certainly met with weariness on this journey of ours.” (v. 63) He said, “Didst thou see? When we took refuge at the rock, indeed I forgot the fish—and naught made me neglect to mention it, save Satan—and it made its way to the sea in a wondrous manner!” (v. 64) He said, “That is what we were seeking.” So they turned back, retracing their steps. (v.
Tired of the long journey, Prophet Moses decided to stop and take rest. However while Moses was taking a nap, his companion saw the fish wriggle out of the container and slipped into the water. But the companion did not make a mention of this to Moses when the commenced their journey. It was only after when they had already traveled quite far ahead that Prophet Moses realized he had moved much past the destined point. So retraced his steps to the place where the fish had entered the water. Now here is a lesson for us to learn: Prophet Moses did not scold his companion nor lament about having gone off course, or wasting time and effort. What had happened had happened; it was the will of God. Prophet Moses’ behaviour is that of a person satisfied with God’s decree. Once he learned that he had stepped away from the correct path he took the necessary action to return to the right way. This is a lesson for all of us. In this life, so many of us choose the wrong path but are afraid or too embarrassed to rectify their mistakes! Once a person realizes that he has committed a mistake, they should immediately set about to head in the right direction. This should never be considered a defeat; rather, it is a victory.